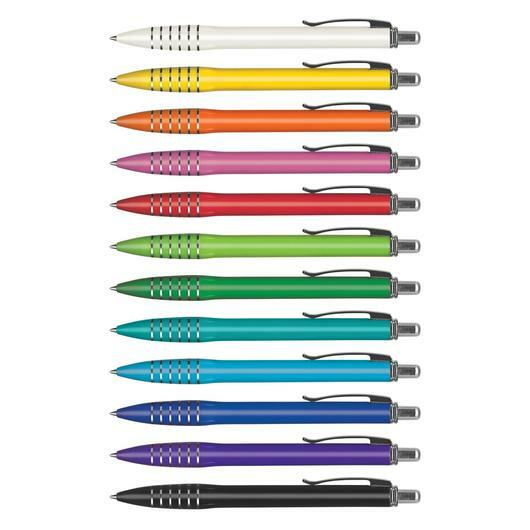 A brightly coloured plastic pen with many colour choices. 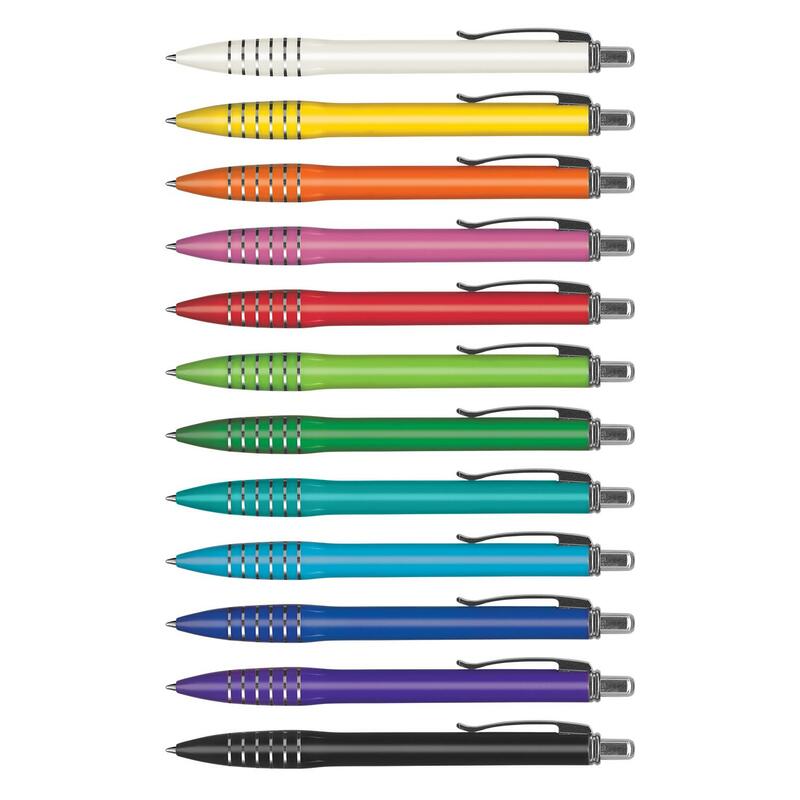 So many colours to choose from! 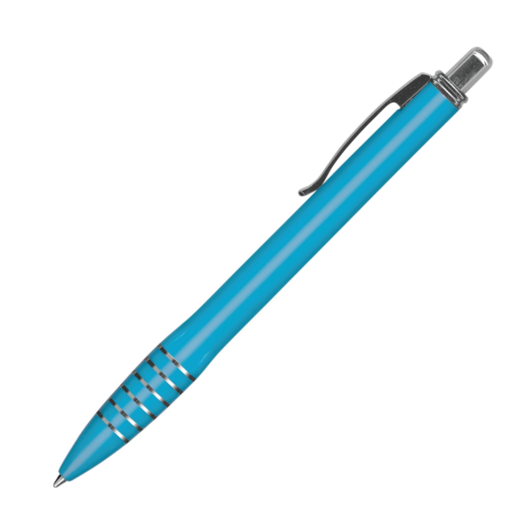 These pens are a great eye-catching giveaway item that not only looks great but is also a fantastic writing instrument. 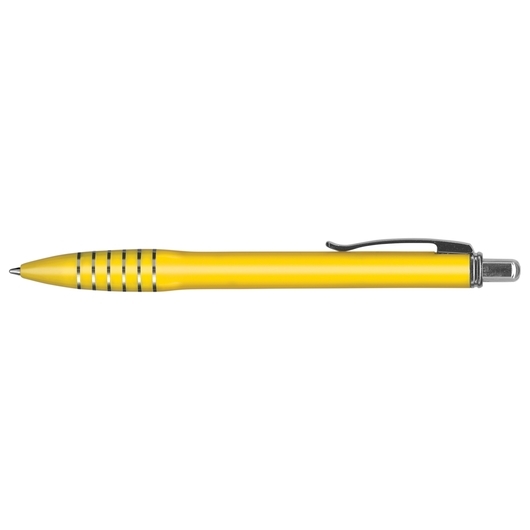 It's made from plastic and metal and has shiny chrome trim with a sleek design and comfortable grip area. 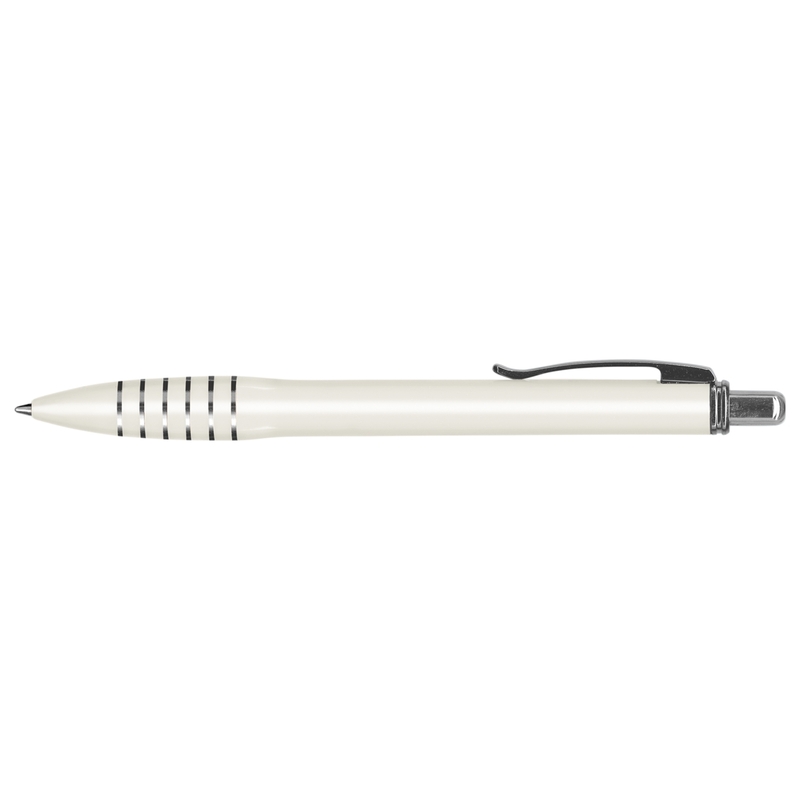 The pen comes with 1800m of German manufactured Black ink (Blue available for additional charge) and a tungsten carbide ball for improved writing quality.